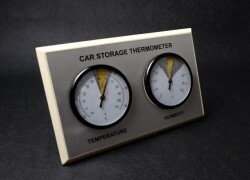 Item description: At last the classic car owner can keep a check on the ideal storage conditions for their car or car collection. 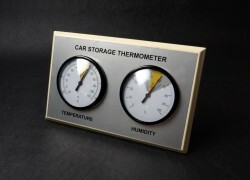 This Car Storage Thermometer gives ideal and acceptable temperature levels, along with ideal and acceptable humidity levels. 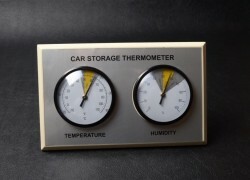 The Thermometer has a pull out stand to the back.